One of the best days of the year is quickly arriving- Mother’s Day. Mother’s Day is the perfect time to decorate the home with lively colors that are not only festive but are also bringing the joy of Spring. 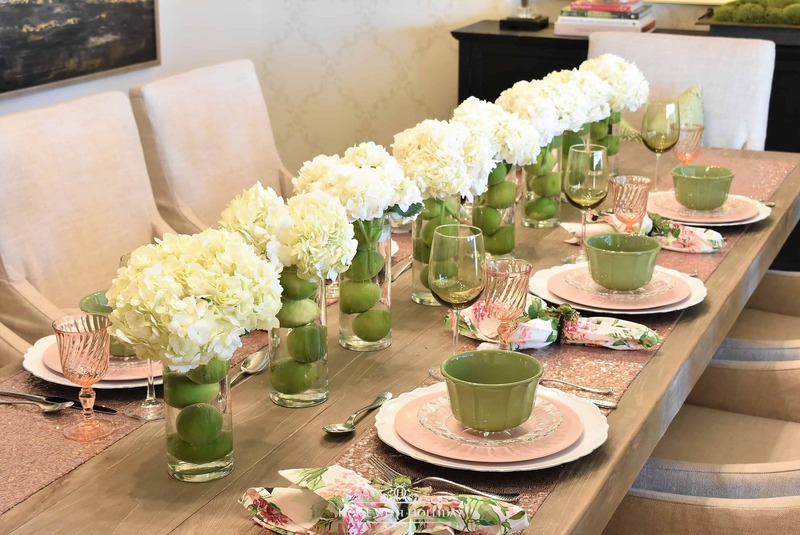 One of the easiest areas to decorate for Mother’s Day is your table. Your table will take center stage during brunch or dinner time. Therefore, why not decorate it to its maximum potential. 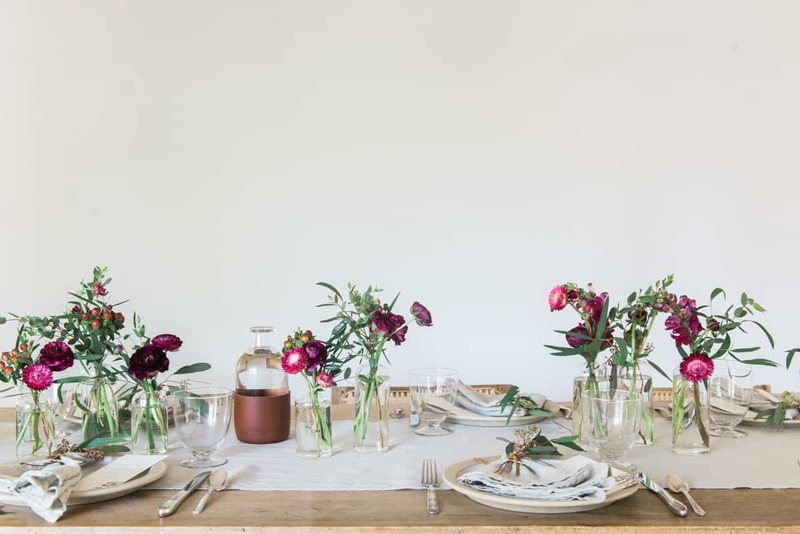 Here are a few Mother’s Day table décor inspo. Take your floral arrangement one step further by making them personal. 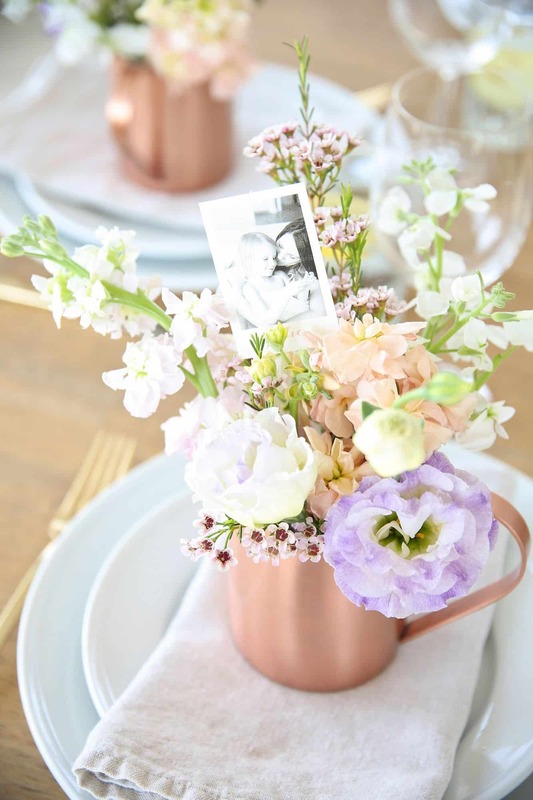 Consider using images to include inside of the arrangement or you can even use small pots and allow your guests to take them home for the ultimate experience that they are sure to remember. Floral arrangements are great in the space and in any décor, especially during Mother’s Day. The key is working in floral arrangements that flow well with your color scheme. Choose elegant flowers and pair them with loose floral additives for an elegant almost bridal appeal. 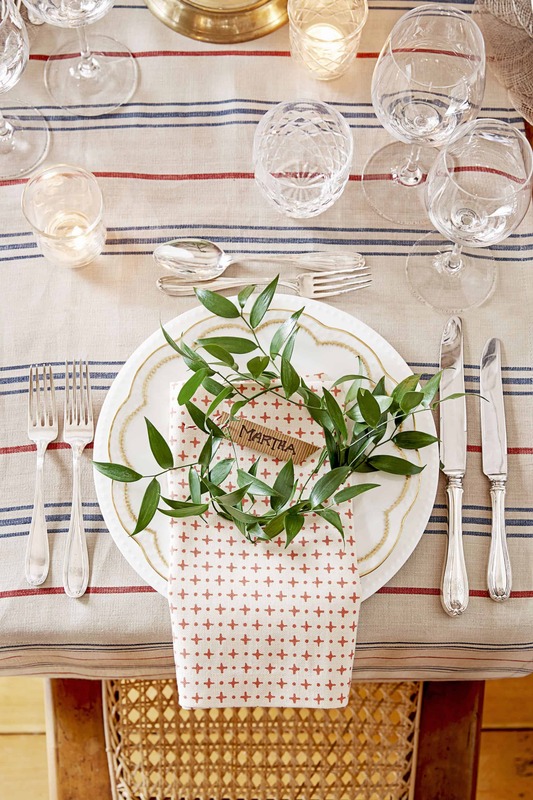 Using pattern as a form of decorating your table is perfect for any occasion. The key is working with multiple different patterns that have the same appeal yet feel a bit different. Consider using similar colors or patterns with similar hues for that cohesive intricacy. Patterns are not only perfect for decorating the home, but they are excellent for table décor. 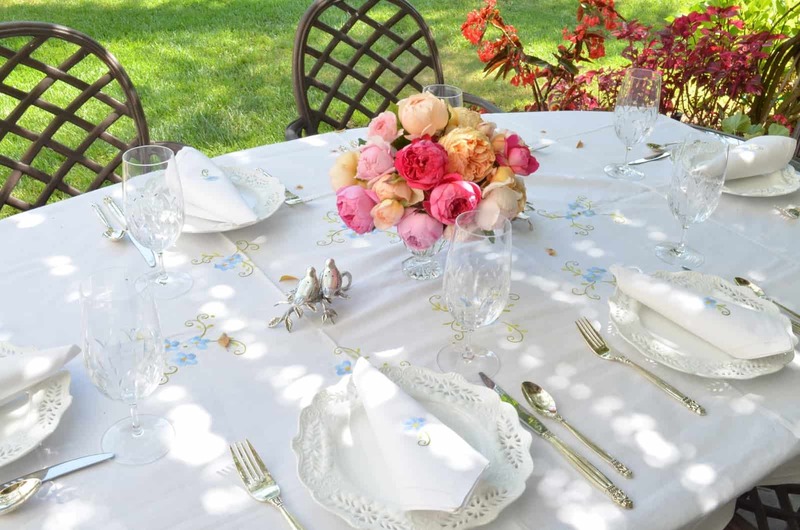 Select one pattern that is elegant and reminds you of your mother or yourself and decorate the table with it. A repetitive pattern will bring a feminine, almost angelic feel. Incorporating rose gold pieces is quite easy when you use the right shades of floral decor pieces. Use soft shades of pink to bring out the natural softness in the rose gold metallic. 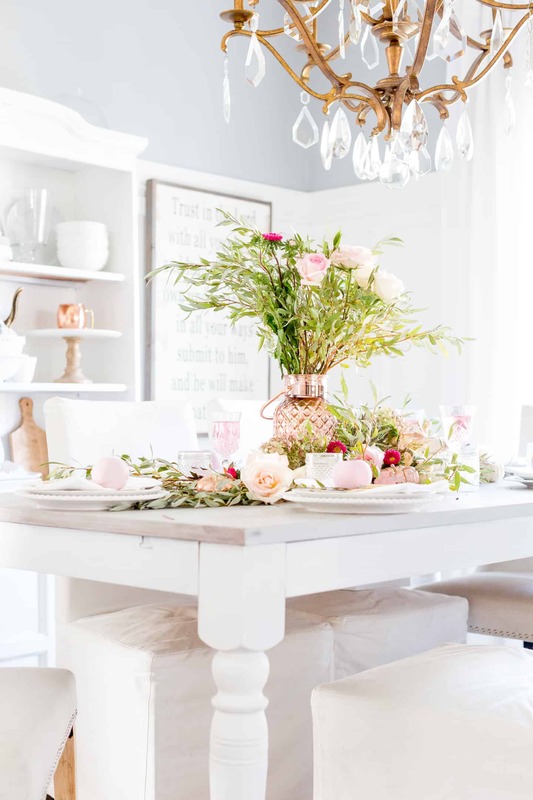 Use shades of white to give the table that chic twist. No table is complete without plates. What better way to be feminine and have the perfect décor for the mothers in your life than to add a metallic touch with rose gold plates. There is something charming yet magical and fun about pairing your décor pieces with a metallic touch. 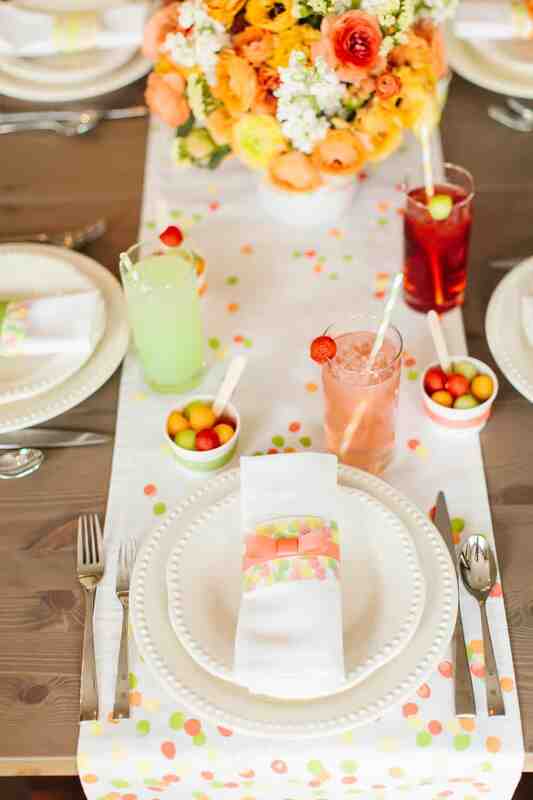 Pastels are perfect for decorating a table because they blend perfectly with any decor you may already have. They incorporate seamlessly to your home decor giving the home an overall cohesive look. Using cakes that are simple as an added bonus is an excellent way to bring everything together. 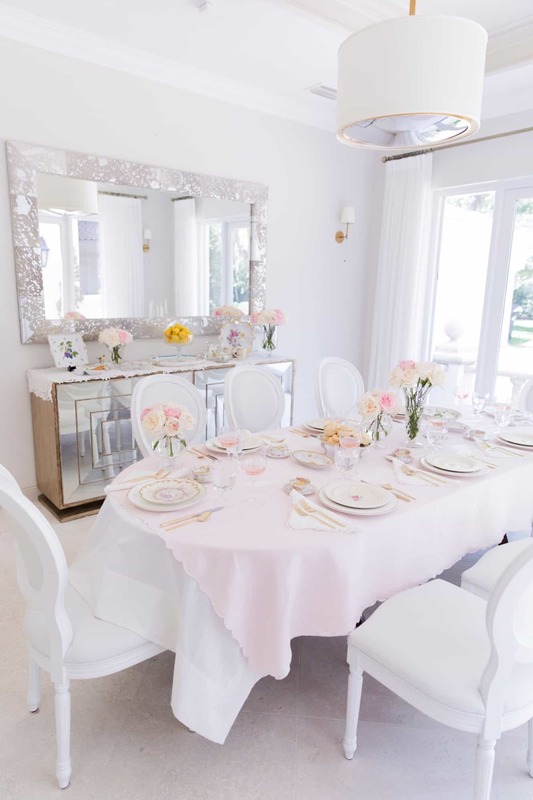 Do not be afraid to go a bit extra with your décor and have a pastel theme. Doing so will bring that chic feel that is trendy and classic. You want to use a mixture of pastel hues that blend well together for that softness that will brighten the space. Simple is sometimes best when you want to have your decor match the way your mother is feeling. Keep this neutral with touches of greenery or add your mothers favorite color for that personal hint that she is sure to love. Sometimes you don’t want to go all out when it comes to décor, instead, you want to create a peaceful space that brings your mother’s essence into play. The key is working with small pieces and creating that simple chic vibe that comes together with pieces. 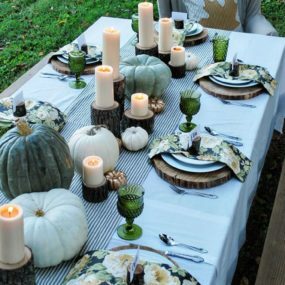 What better way to blend the outdoors with your table decor than to incorporate the natural hues of nature with white shades that enhance the bold colors. Use flowers that grow nearby for the perfect outcome that makes sense and brings your decor altogether. For most Mother’s Day tends to be a warmer day. 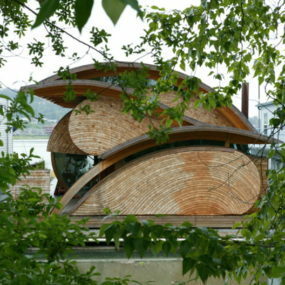 Therefore, why not take advantage and take the dinner outside? 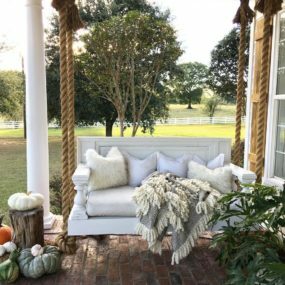 The key is creating a romantic, almost fairy-like space. Use fairy lights, candles, and bright colors to bring everything together. If you are a bit apprehensive about hanging flowers from your chandelier consider having flowers be the main structure and hang lanterns. 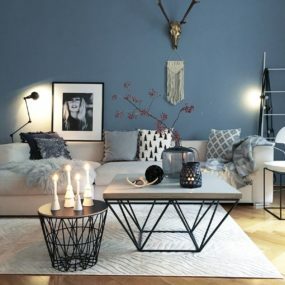 This is not only a chic format but it looks elegant and will bring your decor all together for the best reasons possible. 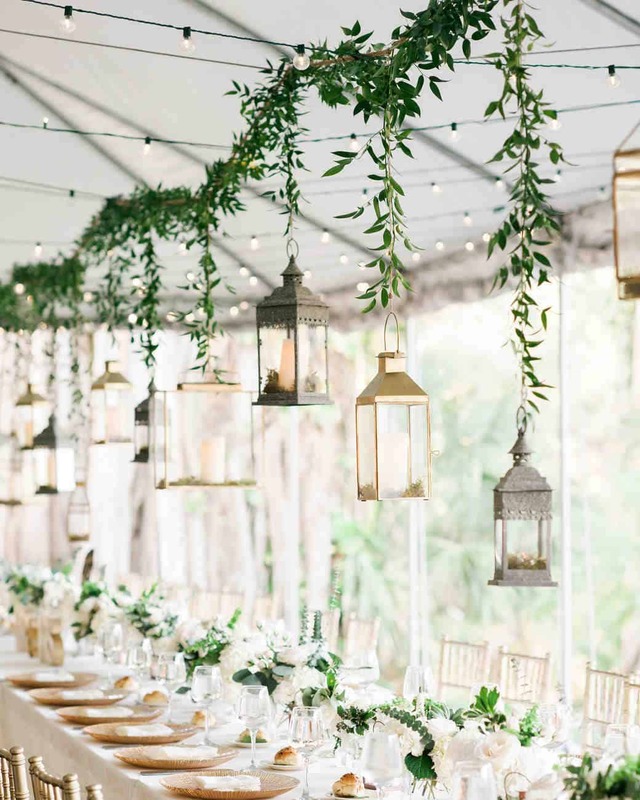 Once you have decided what your runner, tablecloth and decorative pieces will be don’t stop there, add a few floral touches to your chandelier for an exceptional feminine feel that is easy to create. There is also the fact that the flowers will shine their hues when the chandelier is turned on. For a rustic appeal use wooden pieces and match them with darker floral pieces. Doing so will bring that warm appeal to the space that you want to have that traditional rustic uniform look. Use shades of plums, pink, magenta, red, and deep greenery for the perfect outcome paired with beige and offwhite pieces. 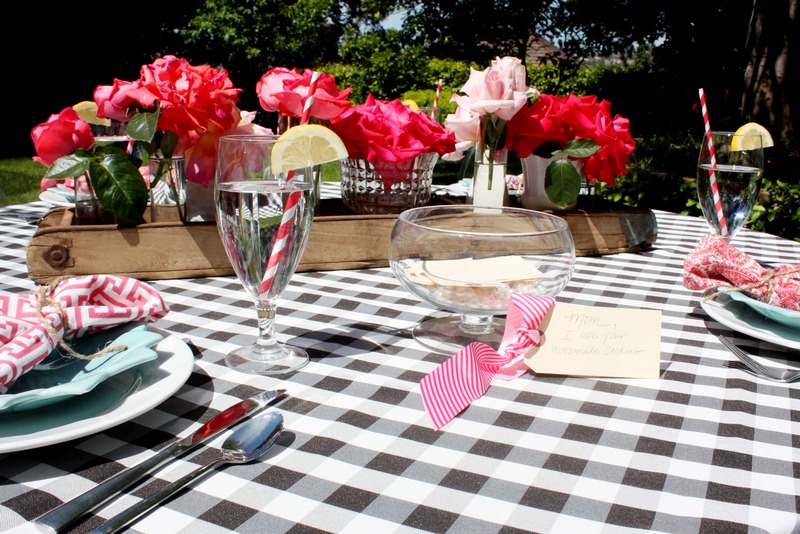 If you have a gardening or nature loving mom a rustic table is one of the best ways to go. 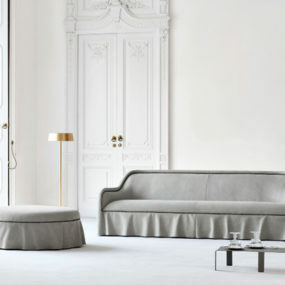 It is chic, sleek and will make her feel right at home. Add wooden pieces and burlap for the ultimate rustic appeal. 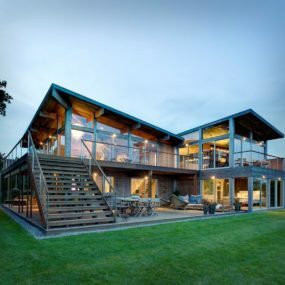 You also want to add greenery to complete the look. Its pretty its simple and it will get the job done. Keep the space perfectly crisp and clean with little to no color or make your marble pieces the highlight of the space with simple decor that revolves around your marble pieces. Take your décor a step further by adding a touch of marble. 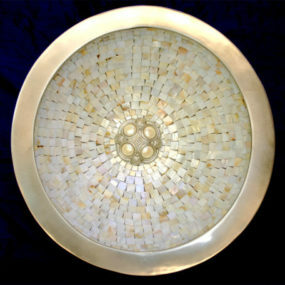 Consider marble paper, marble plates or even a marble pattern table cover. 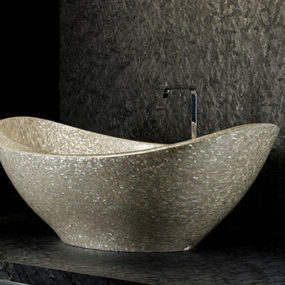 This will bring together the hint of chic that elevates any décor. You may want to keep the décor simple with a touch of marble that brings it all together. Placement cards are excellent decorating pieces because they add that element of togetherness and personalization. They are also excellent DIY projects that can be done to bring hints of DIY moments. Use place cards that work well and bring everything together with your decor. If you are going for a dashing touch of personal name cards is the way to go. The key is having name cards that blend with your décor. The best way to do just that is to have swanky place cards that ooze elegance on their very own. Polka dots are cute, trendy, and are wonderful when they come in multiple different colors. The key is working with hues that make sense in the space and will keep your decor as authentic to your hues as possible. Match your polka dot hues with your flowers for the best outcome. Polka dots are on trend for Spr ing and we are loving it. 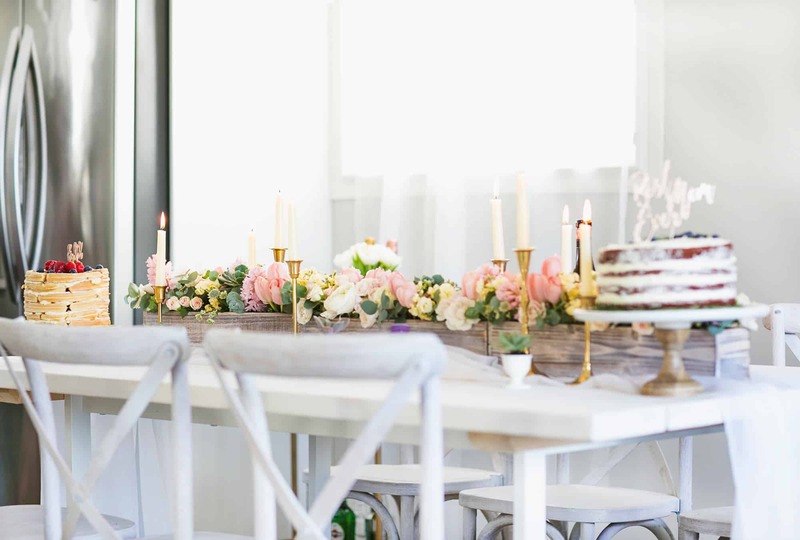 We love the idea of having a polka dot chair décor or even a polka dot table runner for the trendsetting mom that wants to have that signature touch of fashionable table décor. Mother’s should be celebrated all-year round not just on Mother’s Day which of these are your personal favorite? Share with us in the comments below.